Newly declassified files from Britain's Ministry of Defense shed further light on why the military shut down its UFO desk nearly three years ago: despite a surge in reported sightings, the expensive operation just had no defense benefit. 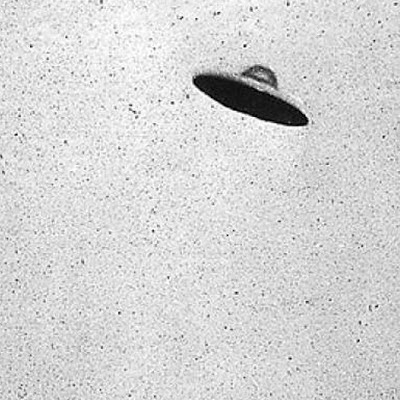 The National Archives has been releasing declassified Ministry of Defense files on UFOs for the past five years. The 10th and final tranche released Friday covers the work carried out during the final two years of the Ministry of Defense's UFO desk, from late 2007 to November 2009. The 25 files detail reports of alien abductions, sightings, offers to develop weapons to shoot UFOs out of the sky — and the reason for the UFO desk's shutdown. Among the documents — spread out over 4,400 pages — was a memo to then-Defense Minister Bob Ainsworth in November 2009, saying that the UFO operation was "consuming increasing resource, but produces no valuable defense output." In more than 50 years, no UFO sighting report "has ever revealed anything to suggest an extraterrestrial presence or military threat to the U.K.," the memo said. The records show that 2009 saw 600 UFO sightings and reports — triple the number of the previous year and the largest ever number of UFO sighting reports since 1978, the year "Close Encounters of the Third Kind" was released in cinemas. Whatever the reason behind the surge — some files suggest the popularity of releasing Chinese lanterns at weddings was behind it — the decision was taken to close the desk. "The level of resources diverted to this task is increasing in response to a recent upsurge in reported sightings, diverting staff from more valuable defense-related activities," the documents said, with one saying the desk "merely encourages the generation of correspondence."